Psychiatric disorders' many complexities have stymied scientists looking for clear genetic culprits. But a new giant dataset holds clues to how, when and where these brain disorders begin. Called PsychENCODE, the project's first large data release has revealed intricate insights into the behavior of genes and the stretches of genetic material between them in both healthy brains and those from people with schizophrenia, bipolar disorder or autism spectrum disorder. The results, split among 10 studies published online December 13 in Science, Science Advances and Science Translational Medicine, offer some of the most detailed looks yet at the links between these genetic elements and brain health. "It's all connected, and now we have the tools to unravel those connections," says geneticist Thomas Lehner of the National Institute of Mental Health in Bethesda, Md., who oversaw the project but wasn't involved in the research. Earlier studies have pinpointed certain genes and other stretches of the genome - the genetic material that makes up cells' instruction books - as being involved in schizophrenia, bipolar disorder and autism spectrum disorder. The new collection of work goes further, both confirming and clarifying some of these roles. "This is a massive undertaking," says neuroscientist Christine Denny of Columbia University who was not involved in the project. "It's pretty phenomenal." In part of the new research, neuroscientist Nenad Sestan of Yale University and colleagues looked at gene behavior as brains develop. Samples of postmortem brains ranging from fetal stages through adulthood revealed two major points of genetic upheaval: early prenatal development and adolescence. Activity in groups of genes linked to psychiatric disorders suggests that these are times when important genetic behavior goes awry, the researchers say. Similar psychENCODE analyses in rhesus macaques revealed similar developmental paths, Sestan says. Those comparisons also turned up some gene behavior that's exclusive to humans (and others exclusive to macaques), differences that "may drive unique features of the diseases in humans," he says. Other PsychENCODE projects scrutinized spots in the genome that aren't necessarily located inside genes. Researchers linked many of these genetic hot spots, which are thought to differ in people with psychiatric diseases, to genes for the first time. That information could be used to predict a person's risk of these psychiatric disorders from genomic makeup alone. Still more research uncovered important differences in how genes behave in brains from people with autism, bipolar disorder or schizophrenia. The researchers found that RNA, a go-between molecule that helps carry out DNA's instructions, was different in the brains of people with psychiatric disorders. Those results may ultimately lead to targeted medicines for the diseases. Some projects also focused on how to use laboratory tools including brain organoids, clumps of neural tissue grown in dishes, to further the research. By comparing the gene activity of cells in brain organoids with that of cells taken from actual brains, researchers found that the two mirror each other at early stages of development. 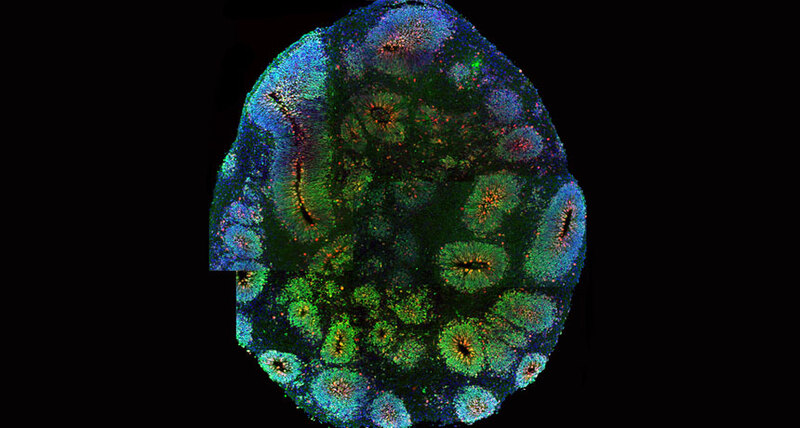 Those similarities mean that the organoids, good mimics of young brains, might be particularly useful in understanding brain disorders that start early. Lehner first began advocating for a group effort aimed at understanding the genetic landscape of psychiatric disorders about a decade ago. But it wasn't until 2015 that the National Institute of Mental Health announced plans for PsychENCODE and helped organize the 15 participating research institutions. To see the first wave of results "feels really good," Lehner says. "I'm delighted." The PsychENCODE group is making progress, says Columbia University psychiatrist Jeffrey Lieberman. "But the jury is still out in terms of what it will result in," he says. "It could produce important - and if we're lucky, game-changing - results."